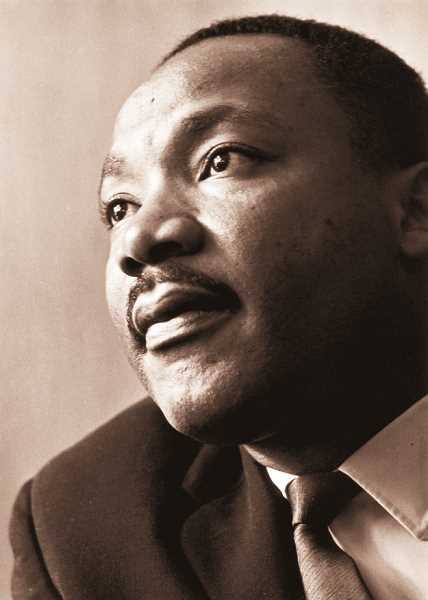 The Chehalem Cultural Center will host its annual Martin Luther King Jr. Day on Jan. 21, with Miles K. Davis, president of Linfield College, serving as guest speaker. This year's theme is "A Message of Hope" and the celebration will feature several events, ranging from spoken word, music, and vocal and dance performances, including a performance by Edna Vazquez, a singer and musician who described her music as able to "transcend the boundaries of language to engage and uplift her audience." She has recorded five albums and has performed extensively; she will spend January playing in venues from Oregon to Arizona to Florida. There will also be performances from Newberg High School's Vocal Point ensemble and a spoken word performance from George Fox University student Rachel Leong. Carissa Smith-Burkett, CCC curator and arts program manager, said the MLK Jr. Day event is one of the bigger events they put on annually. She said they expect around 400 people to attend, which is similar to last year, when they ran out of chairs. "It's a really big event," she added. The theme for the event is chosen by a community committee made up of various local organizations. "A Message of Hope" was chosen because of the political divisiveness in the country right now. "We always try to focus the event on celebrating and commemorating Dr. King," Smith-Burkett said. Doors for the event open at 5:30 p.m. and the program begins at 6 p.m. It will be followed by a reception and resource fair. Davis, the 20th president of Linfield College, is listed as "an authority on entrepreneurship whose most recent work focuses on integrity, values and principles in the business world, as well as faith-based entrepreneurship. He helps organizations manage cultural and structural changes, strategic planning, leadership development and strategic growth initiatives." Smith-Burkett said Davis will use the theme "A Message of Hope" is his address. Davis has won several awards in his career, including awards for service from the NAACP. He is a member of the Society of Leadership Fellows at St. George's House, an organization in England that brings together world leaders in various fields to analyze contemporary issues. Smith-Burkett said Vasquez will also use the event's theme in her performance, as well as the GFU student speaker. Additionally, she said local elementary students will participate in a peaceful protest to begin the event. And the resource fair is an opportunity for those attending to get involved or learn more about various social justice organizations in Yamhill County. Southern rock band Deacon Jones and The Dirt Rotten Sinners will play from 7 to 9 p.m. Feb. 8 at the Chehalem Cultural Center ballroom. The group, recently signed to a new label and management company, will perform new songs as well as familiar southern rock hits. Tickets are available online for $8 at https://bit.ly/2RDB4S1 or for $10 day of at the door. George Fox University will hold a spring faculty recital on Jan. 18 from 7:30 to 8:30 p.m. The recital, put on by the music department, will be held in the Bauman Auditorium. The Chehalem Cultural Center is hosting an exhibit of digital art by Lisa Zahler through March 23. The exhibit, titled "Abstractions in Pixels," manipulates and enhances ordinary photos into abstractions. The exhibit will be in the community gallery. The Chehalem Cultural Center is hosting a mixed media exhibit of works by artist Tim Timmerman and wood carvings by Stan Peterson. Titled "A Catalyst of Empathy," though Marc 2 in the Parish Gallery.